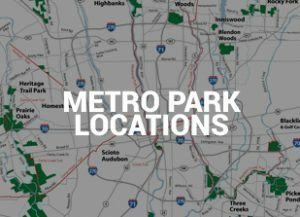 Lying on the eastern banks of the Scioto River, Scioto Audubon Metro Park has something for everyone in its 120 acres. Here are my five reasons why Scioto Audubon gets a 5-star rating and why you should visit this top attraction soon. Featuring ten obstacles and a half-mile track, the Columbus Rotary Obstacle Course is seriously legit. Challenge friends or bring the whole family to strengthen those bonds and make things even more fun. 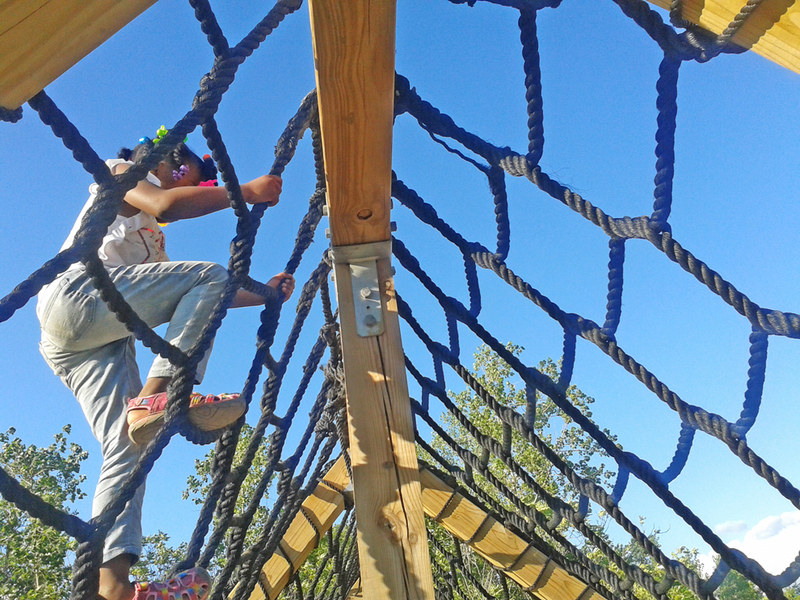 Use teamwork to complete the obstacles and keep track of your time so you can aim to beat it on your next visit! 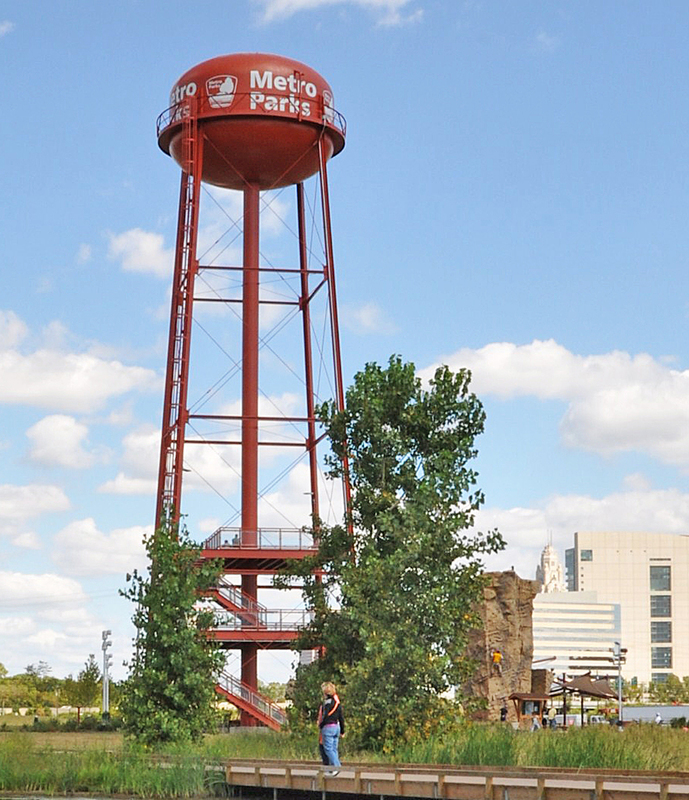 Navigate the 2.5-mile Connector Trail to explore all the areas Scioto Audubon has to offer, including wetlands, a dog park and a water tower for a high-rise view. Hop on the Scioto Greenway Trail for a longer bike ride. It boasts 10 miles of paved trails through downtown Columbus and connects to the Olentangy Greenway Trail. Launch your kayak, canoe or boat from the boat ramp and keep your head on a swivel to avoid missing out on all the wildlife viewing opportunities! 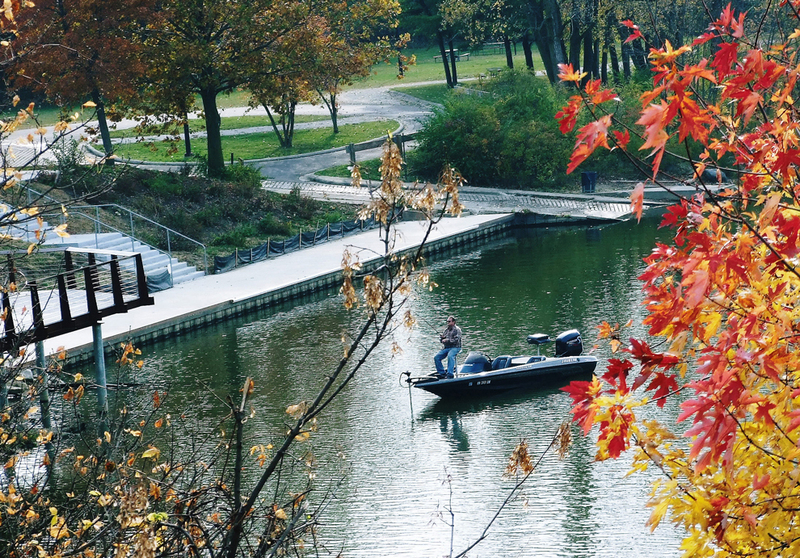 Combine a few hobbies and see if you can reel in a smallmouth bass to your boat. Otherwise, fish from the boat ramp or elevated fishing dock. From nature-inspired stories for little ones to lectures on conservation led by experts, the Grange Insurance Audubon Center hosts a variety of programs for people of all ages, including weekly Bird Watching for Beginners classes. It’s impossible to talk about Scioto Audubon without mentioning its spectacular free climbing wall! It’s textured to look and feel like real rock, with various holds for climbers of all abilities. Four autobelays are available, just bring your own harness. 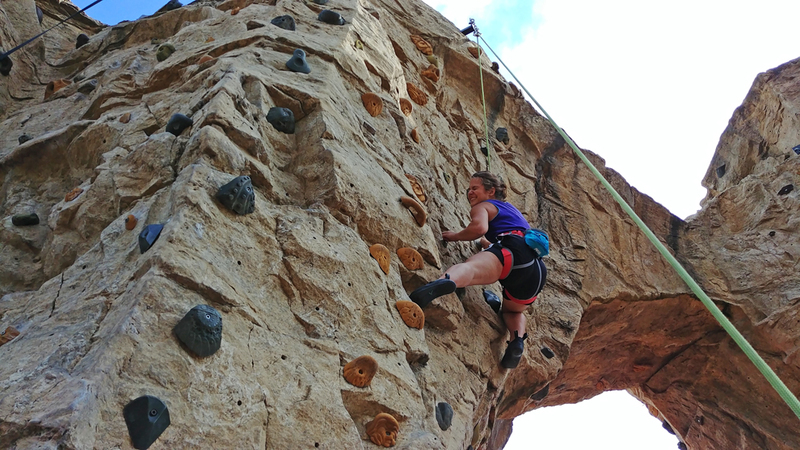 For an introduction to the sport, attend a Learn the Ropes program led by climbing instructors. All necessary climbing equipment is provided free of charge during these programs. 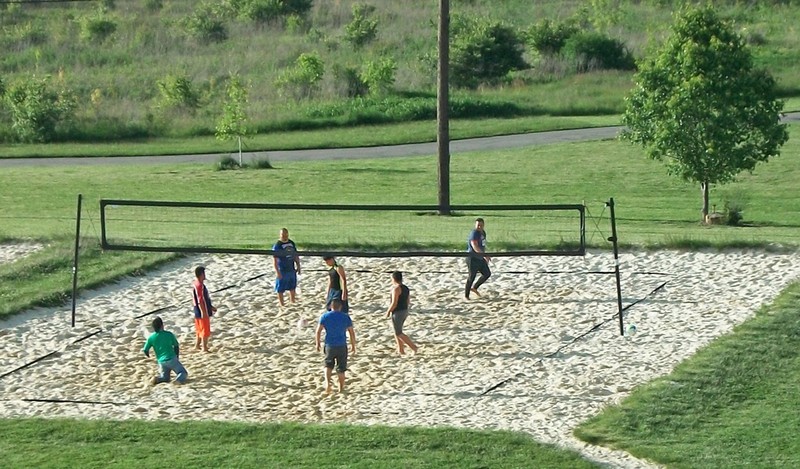 Play sand volleyball on one of three well-maintained courts or try a game of bocce ball (ask a ranger to try one of the bocce ball sets). Treat your dog to fun in a 2.5-acre dog park complete with an agility course and separate areas for large and small dogs. 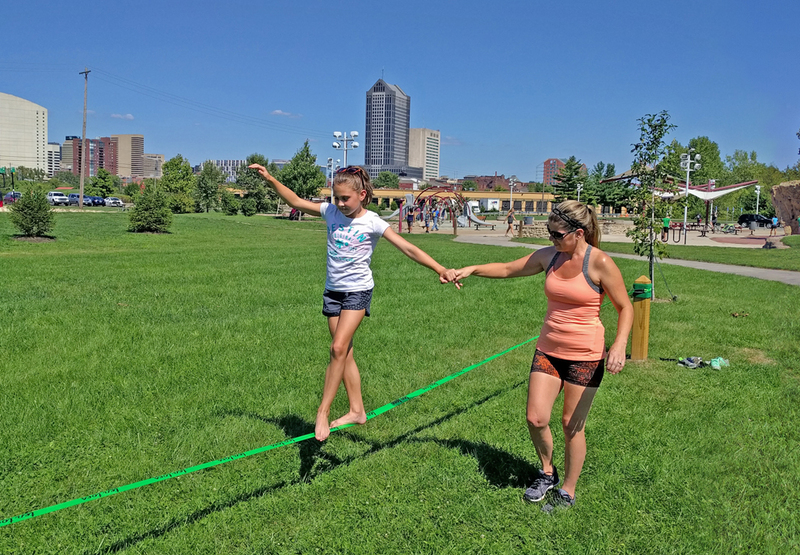 Test your balance on the slackline, play with your children on the playgrounds or use one of the many grills to cook a picnic lunch. 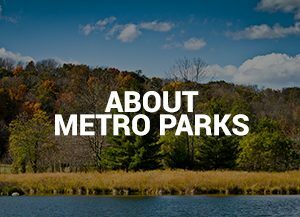 Tell us what you love about Scioto Audubon Metro Park and why you would recommend it to a friend. 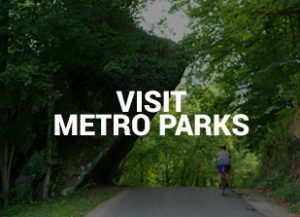 Share photos with us at mediagroup@metroparks.net. This makes me want to skip work tomorrow and spend all day at ‘the bon’ ! 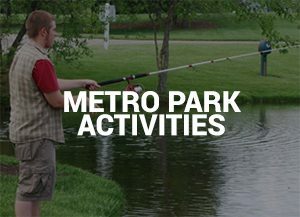 The park has something for everyone! Thanks Nina. We have to agree with you about the park. It’s a great place for everyone to enjoy. I love the memories our family shares of the fun times we’ve had here! Thanks Lisa. It’s definitely a fun place.